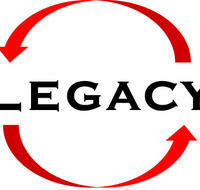 End users of industrial legacy control systems now have a LinkedIn group to turn to for help. The LinkedIn group site (Legacy Control System Strategies) allows individuals responsible for maintaining, upgrading, or replacing older DCS and PLC systems a place to go for discussions and to ask questions. According to John Forlini, group administrator, “There is a wealth of elegant solutions to the issues around maintaining these older systems; there is a wealth of elegant solutions to migrating piecemeal; and there are elegant solutions to doing replacement all at once. Everyone’s situation may be unique, but there is an abundance of knowledge to be shared that can help in decision making and planning.” This is a brand new group for LinkedIn. The site is open to everyone with a LinkedIn profile without approval being required. Just select the group and click “Join.” The bigger the group the better the discussions.